This breathtaking 3 Light Chandelier with Antique forged copper Finish is a beautiful piece from our Amazon Collection. With its sophisticated beauty and stunning details, it is sure to add the perfect touch to your decor. This Envirolite chandelier uses 75% less energy than comparable incandescent chandeliers. It consists of a durable construction with a simple, modern style that brings a new look and feel both casual an formal interiors. The smooth Tuscana finish is complimented by amber glass shades that spread soft light evenly throughout the room for a warm glow. 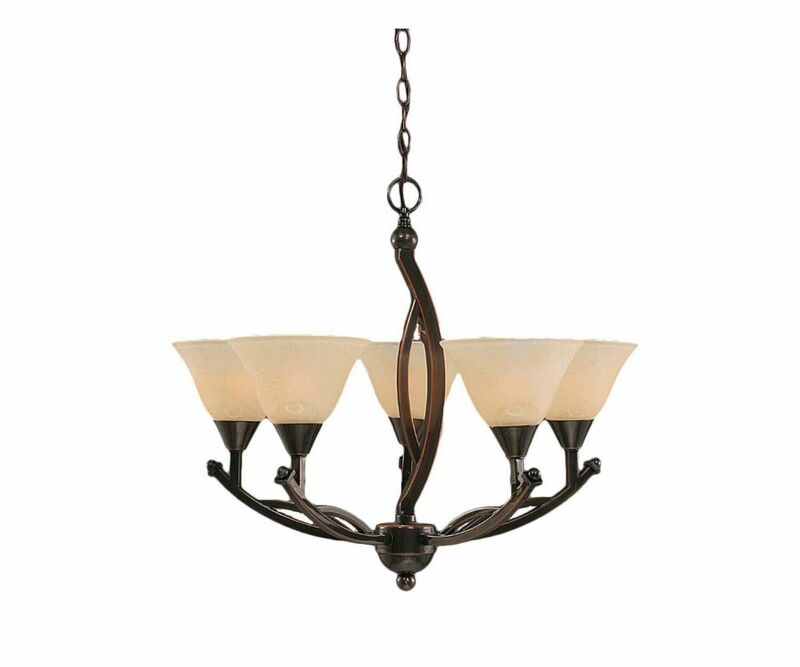 Concord 5-Light Ceiling Black Copper Chandelier with an Amber Glass The cornerstone of the concord Collection is quality, and this chandelier is no exception. Combining a classic black copper finish and posh styling, you will find no better way to highlight the charm of your home. With the superb craftsmanship and affordable price this fixture is sure to tastefully indulge your extravagant side.